On Monday, I not only enjoyed a day off, due to the Martin Luther King Jr. holiday, I also had the pleasure of having my sister in law and niece over for dinner. Roasted butternut squash, mashed rutabaga, and a salad with homemade dressing seemed to be the ticket. 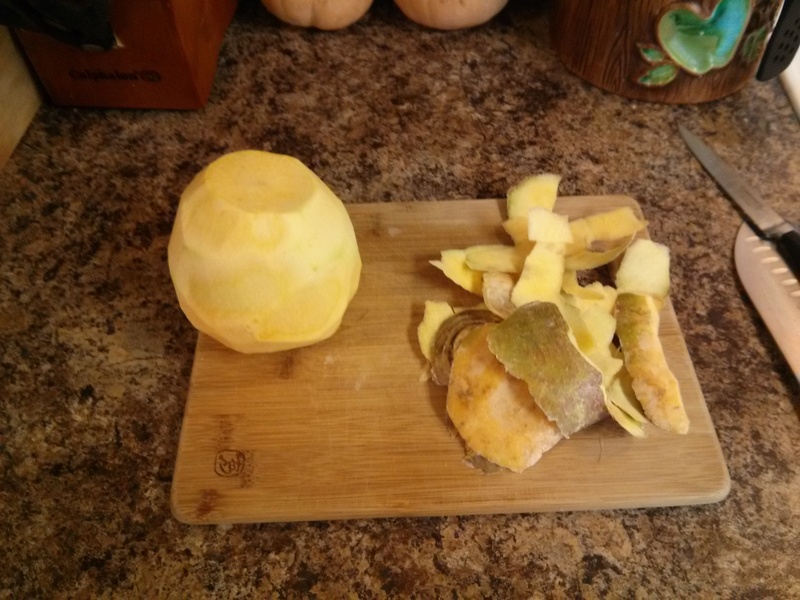 In all honesty, I had never made rutabaga before, however, it had caught my eye in the produce department the day before, so I thought “Why not?”. Now what possessed me to test this new vegetable out on my pregnant wife and sister in law (who is also expecting), I’ll never know; but I’m glad I did. Even our 16 month old daughter liked the rutabaga enough to discard her spoon and begin eating it by the handful, before asking for seconds. 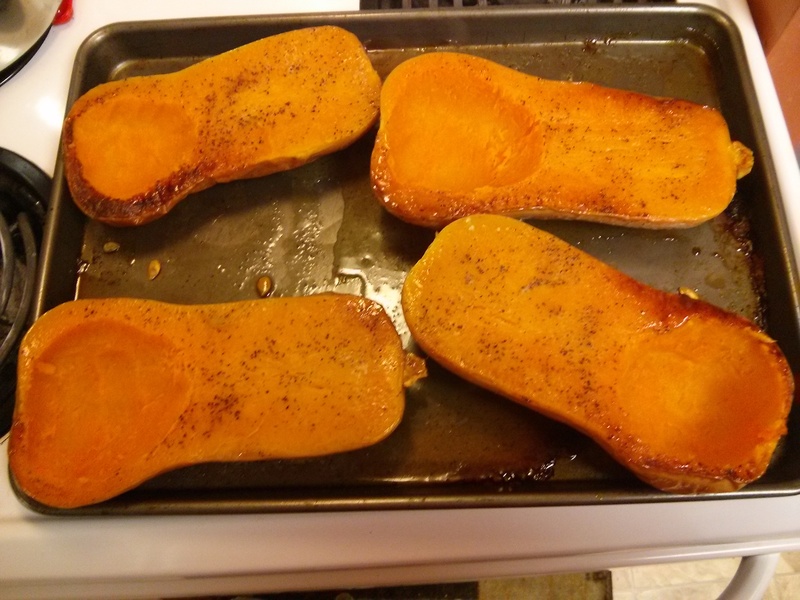 The butternut squash becomes caramelized while roasting in the oven, this adds a sweetness to its already rich flesh. The rutabaga contrasts nicely providing a buttery, earthy flavor that you would expect from a root vegetable related to turnips and parsnips. To lighten the flavors, a side salad was served with an Italian Parmesan dressing, made with Greek yogurt. 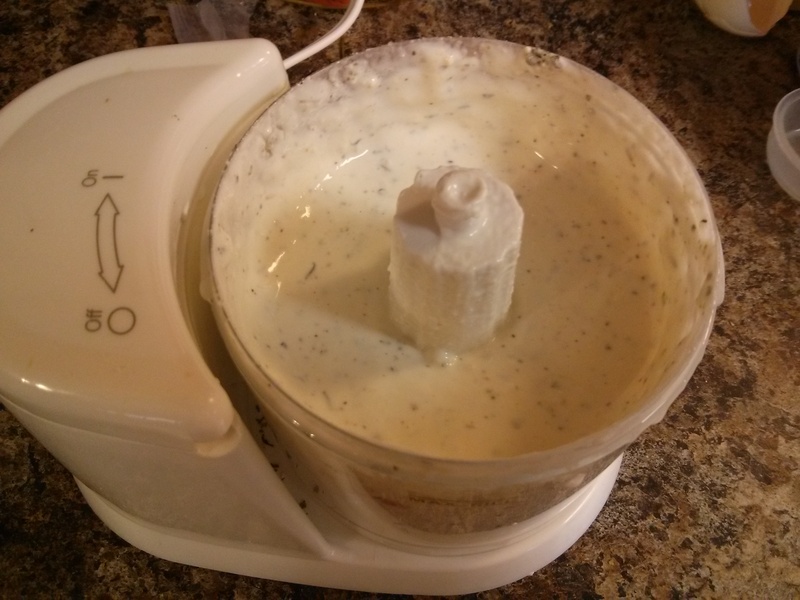 Place all ingredients in food processor or blender and blend well. 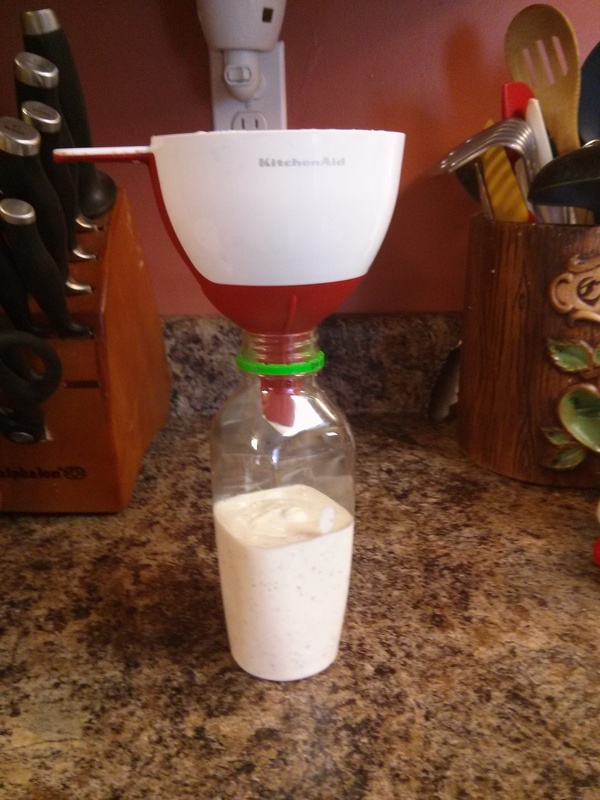 Funnel into bottle or jar and refrigerate for at least 2 hours to allow flavors to meld. This should keep in the fridge for up to a week. Select squash that feel heavy for their size, and have an even colored tan skin. 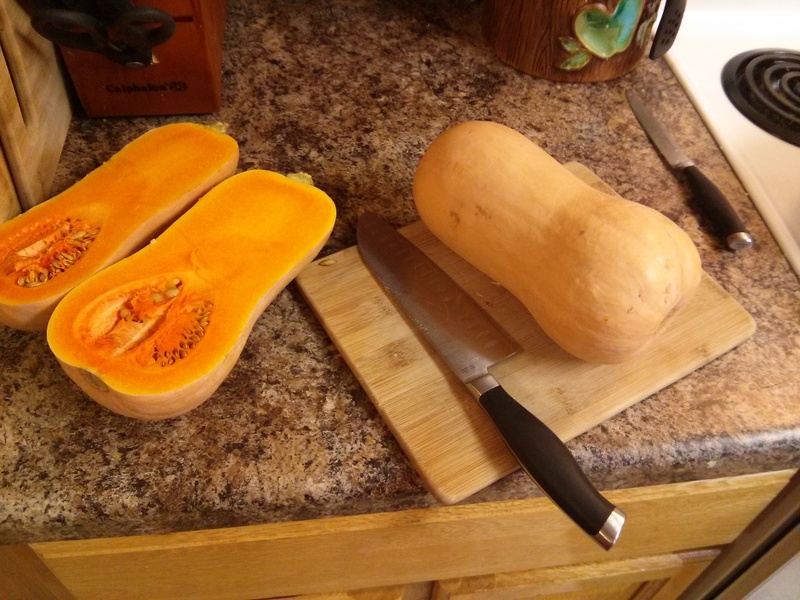 Split the squash lengthwise, leaving the seeds in for now, they’ll help give some moisture and steam the flesh while cooking. Rub oil on the cut side (I used extra virgin olive oil) and sprinkle salt, pepper, garlic powder, and any other spices, on oiled surface. Now its time to flip the squash face down on a heavy rimmed baking sheet. When they’re ready come out, flip over and use a spoon to remove seeds and stringy parts. Serve hot. 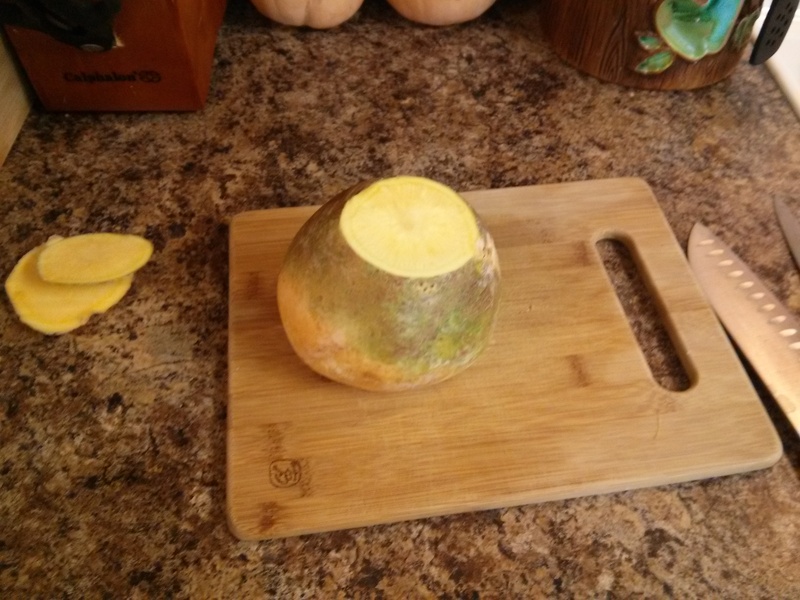 Start by slicing 1/2″ from top and bottom of rutabaga. This gives a nice flat surface to work with. Rutabaga are covered with a food grade wax when shipped, so you’ll most likely be unsuccessful if you try using a traditional kitchen peeler. I would recommend a small paring knife, it is both simpler and quicker. Cut into chunks and place into 2 qt pot with lightly salted water. Bring to a boil. Continue to lightly boil for 30-40 minutes until tender. Add butter, milk and spices. Mash until mostly smooth, some lumps are OK.
For our salad we had chopped tomatoes, chopped hard boiled egg, diced avocados, mozzarella cheese, spring greens with spinach, and chopped cilantro. 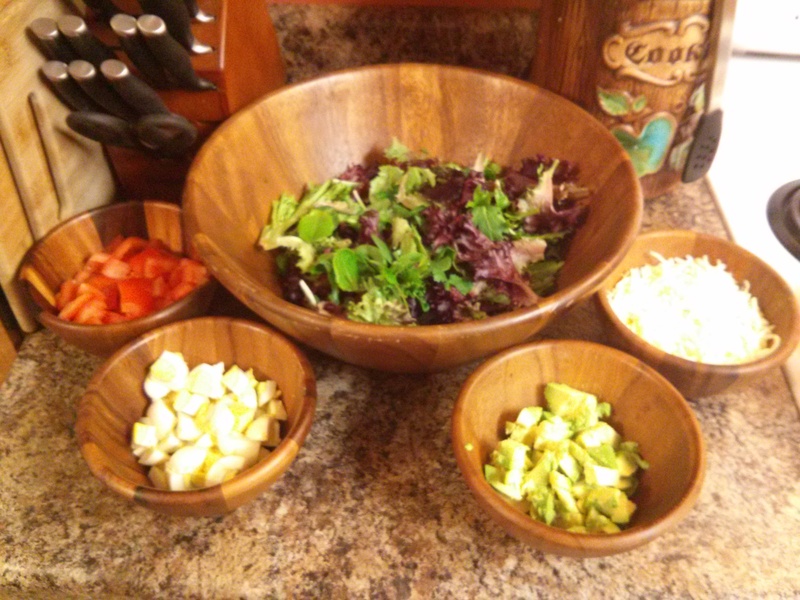 I will be making this salad dressing as soon as I get all of the ingredients. More than likely I’ll make the other items as well.